My friend J, my sis-in-law and myself were having this conversation on FB about a beetroot chocolate cake, a while back, and somehow the conversation turned to zucchini bread. We were commenting on each others' reaction to using vegetables in baking and J mentioned her moms yummy zucchini mezhukkupuratti. It sounded like a great idea and I made a note to pick some up the next item I went grocery shopping. That very evening we headed to Sainsburys to pick up some stuff and Ro started his usual rants about 'how we don't eat enough veggies' and how 'brocolli is awesome.' So to shut him up I said we'll pick up anything but the wretched broc and steered towards the spinach and cabbage aisles. 'Cabbage has absolutely no health benefits, he said (I have to check on that btw!) and made a face. Since I am now so used to just nodding and agreeing to anything he says (without actually listening), I nodded this time too, but put in a packet of spinach into the trolley. That's it? was his next question and by then I was losing it..this is about 5 minutes into the shopping experience. I saw a packet of zucchini and grabbed the last one saying this is very good. 'But its like a cucumber, only water.' Me (rolling my eyes) managed to ignore him. At that point I would have done anything to not let him pick that broccoli. God I hate that vegetable with a vengeance. Anyhoo, back to zucchini. Having experimented with zucchini only a few times, I was pretty apprehensive about how it would turn out. I am not too good with mallu preparations and till now don't know how to make the perfect thoran or mezhukkupuratti. So when J wrote back saying it is made like the usual mezhukkupuratti, I was a bit concerned. I don't know how the usual one is made, and so googled it. This would probably be my 1st ever mezhukkupuratti on my blog (after the really sad looking one here) and I hope you guys enjoy it. We loved it a lot! Heat oil in a kadai and throw in the mustard seeds. Once they splutter add the curry leaves, green chillies, red chilli, garlic and ginger. Saute for a few minutes. Add onions and cook till they turn soft. In goes the turmeric powder and cumin powder. Mix well to coat the onions and cook till it doesn't smell raw any more. Throw in chopped zucchini and salt, stir to combine. Close with a lid and cook on medium low for about 10 minutes, stirring in between to make sure it doesn't stick to the bottom. The zucchini lets out enough water, so you might want to open the lid and cook after a while. Over cook it, and it will turn mushy. We had it with rice, dal, cutlets and pickle..bliss! It was also a tad towards the spicier side, so go easy on the chillies if you want a milder version. I used to dislike brocolli till I made Swapna's Brocolli Mappas. It's cooked so well that there's no taste of it :) I also once chopped it very very fine and added it to my usual tomato-onion curry that I make for chapathi. That was also really nice...just that I could see a bit of green in there. Otherwise you will not say there's brocolli in it. Thats a quick and delicious stir fry, would love to have with a bowl of rice.. Pretty pictures again Nisha. I have to agree, shopping with husbands can be crazy at times with each picking they want and ending up with a huge bill and never cooking perishables in time. Nice way to eat a vegetable. Looks so good. Neat presentation.... YUM! Now, Zucchini is something i like and enjoy it anyway and every way. I will try this .. it will taste great with roti! I make throan with zucchini, not mezhukupuratti, looks like it is delicious. I too adoid taking him to the super markets. Even if I hand over a list of things to buy he will invariable miss half of those !!! LOL... i guess Achayan was corret ..its a low calorie fruit with little vitamins here and there . Arabs use lot of this fruit especially with grilled stuff as a part of their diet ( thats what they say) . I have got to try this anyways ! Nice pics d! bravo ! 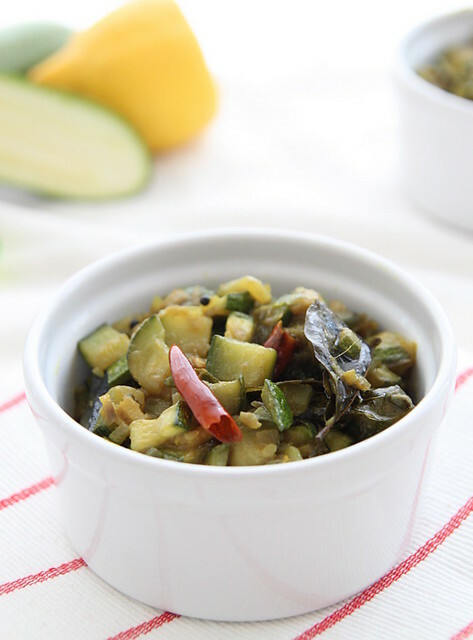 We use zucchini a lot in our cooking...make mezhukkupuratti, use it in sambar, or with dal, etc. 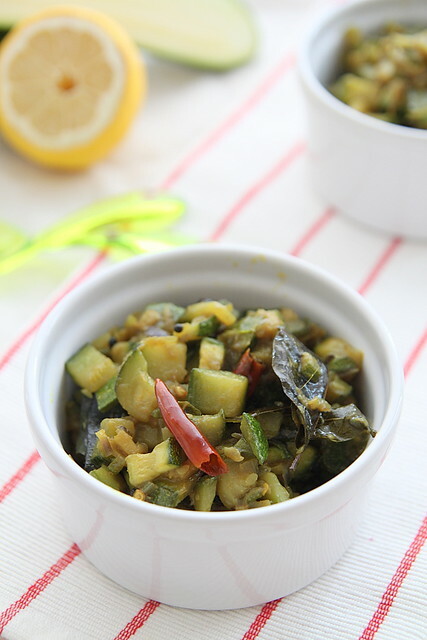 I sometimes make zucchini dal, but never used it in a curry.Nicely taken pictures. Nice write up :) And loved this simple, healthy stir fry flavored with South indian spices!! My husband also interferes a lot while grocery shopping.Now I have found a store where there's an electronics store next door- some relief :) I really dont like zucchini but love your creative indian spin on it! lol i hear the same from sis, i laugh at it that even more irritates her. 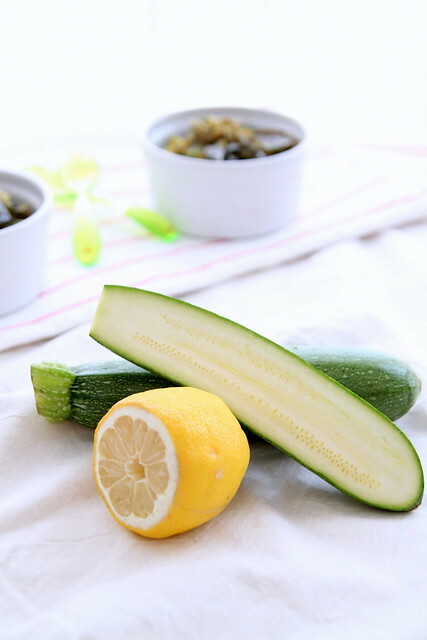 oh that baby zucchini is darling so fresh such a new recipe to try with zuks oh those spoons are so pretty i wanted to own one for myself in all colours! Hi Nisha! I love zucchini, but I have never cooked just zucchini alone. I love how you cooked this with spices. I can't eat spicy, but if I omit, I have everything in my pantry! I'll be giving this a try. It'll be a very nice side dish! Lovely clicks,makes one feel so comforting looking at those,nice recipe too! As usual nice write up .Love this quick and delicious stir fry with rice . i've been just nodding my head in acceptance all through ur post....every bit I read was as if I was reading an excerpt from my own life :-). I've never tried zucchini but urs looks really good. My husband too says we don't eat enough vegetables n blah.. And everytime we r at the leafy veg. section, he'd take bunches of palak leaves (I hate!). And to spite him I take Okra :-). after 5years of marriage (yea same here too), we've learnt to come to some sort of understanding..obviously I Cook.. I control! :) Also,I now take him grocery shopping so that he can take care of my naughty play-schooler cos of which my husband has not much time to even look around! have some fresh home grown Zukes and am always looking for fresh ways of cooking them - This is a lovely and simple recipe :) thanks for sharing dear! 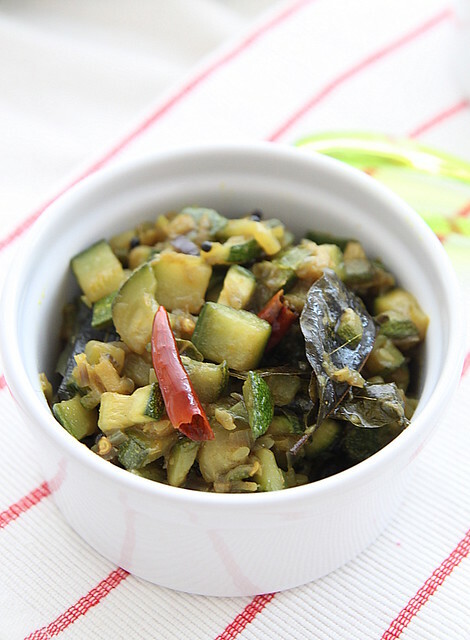 This mezhukkupuratti looks like a great and tasty way to prepare zucchini! I really like the name, too! 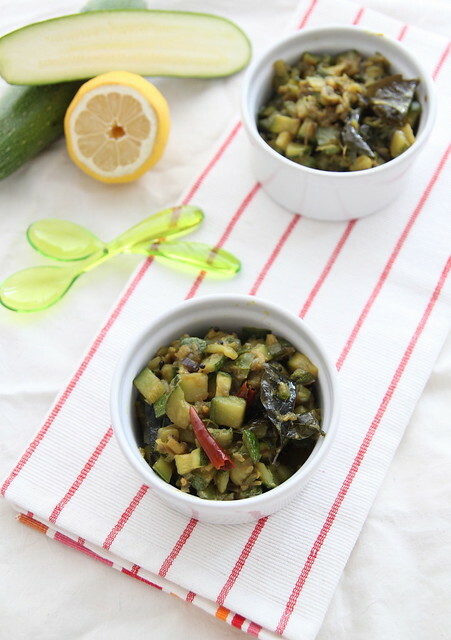 Enjoyed your write-up Nisha :) I have never tried mezhukkupuratti with zucchini. Will try and let you know.. This looks so very good, and we have so much zucchini around our house right now! Thank you for sharing with me. 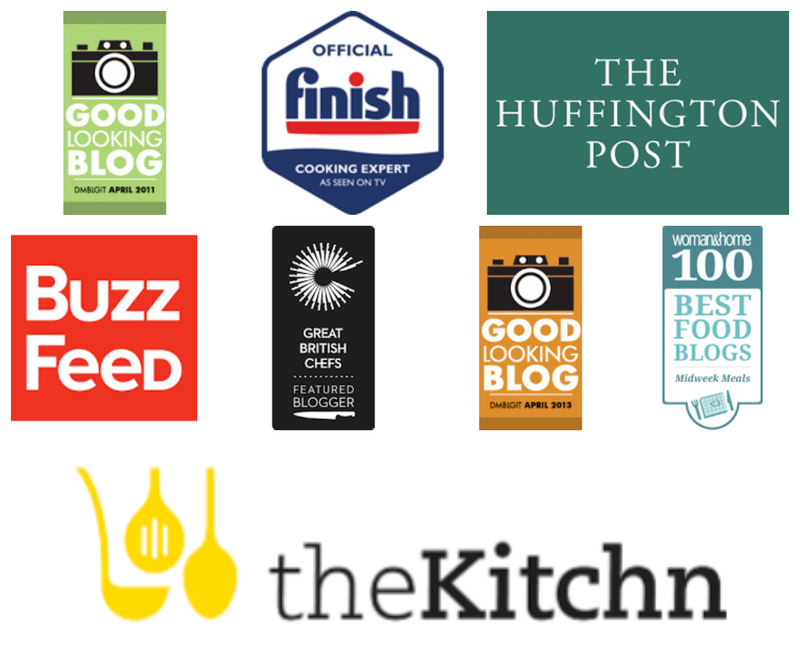 Visiting your blog is always a great way for me to end my weekend. I hope you have a wonderful start to your week. Many blessings!